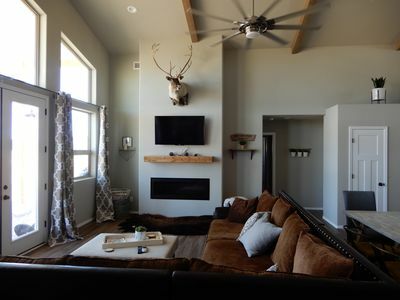 Escape to the mountain town of Flagstaff and treat yourself to a rejuvenating retreat in this family-friendly vacation rental home. 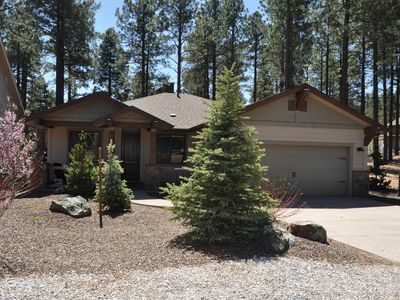 Completely updated with modern furnishings and central air conditioning, this 2,788-square-foot, 4-bed, 2.5-bath cabin for 13, features a pristine-yet-cozy atmosphere, perfect for after outdoor adventures or exploring downtown Flagstaff 10 minutes away. To top it off, a private hot tub waits on one of the 2 decks overlooking the golf course and mountains! 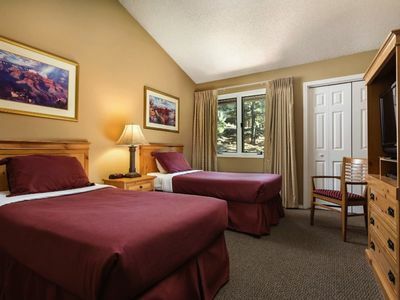 Your Flagstaff experience is guaranteed to be elevated with this lavish cabin as your home base. 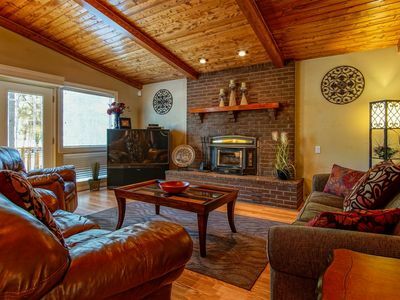 Lounge in the spacious open living area, which features a gorgeous flagstone fireplace and large sectional sofa - curl up with a new book and listen to the fire crackle or cool off with the central air conditioning on balmy afternoons. Host a family movie night in the expansive loft, featuring a high tongue and groove ceiling and flat-screen cable Smart TV. An additional 2 travelers can snooze on the pullout queen couch if necessary! 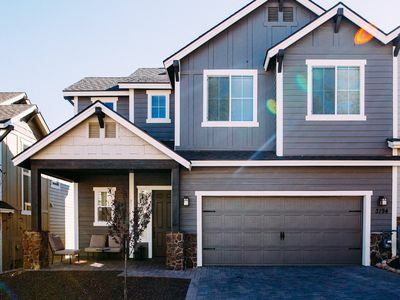 A luxurious master suite and private bath await the heads of household. Prepare a hearty breakfast in the fully equipped kitchen, kick-starting the day. Complete with stainless steel appliances, sleek granite countertops, and plenty of space for the chef elect to get a few helping hands, your cooking experiences will be easy and enjoyable! 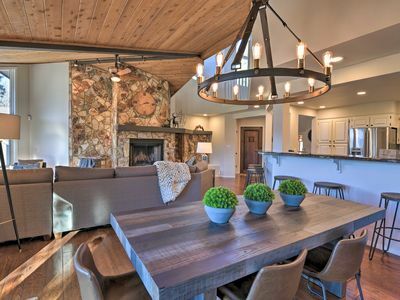 Gather around the chic wood dining table, adorned by a contemporary chandelier, to savor homemade creations. 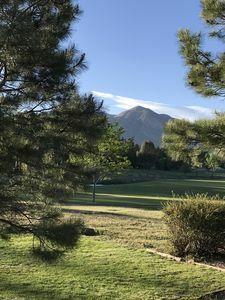 Spend ample time on either of the cabin's 2 decks, both offering unobstructed views of the rolling green golf course with mountain silhouettes in the background. 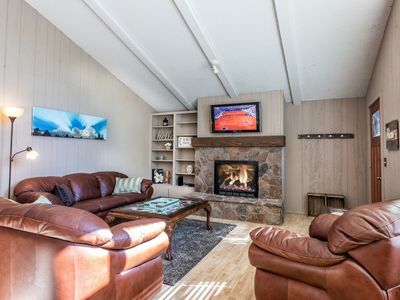 Fire up the gas grill and dine al fresco on the upper deck, or head to the lower deck to soak in the hot tub. Conclude a perfect evening by cracking open a cold one and roasting s'mores around the fire pit! 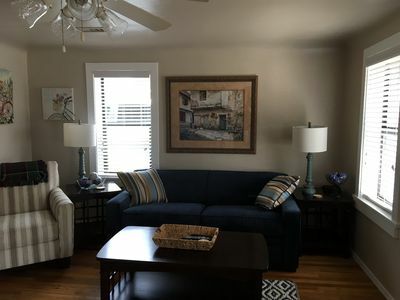 Sitting on the Continental Country Club golf course, the cabin overlooks the 16th, 17th, and 18th holes and is within walking distance to a community pool, fitness center, and tennis courts you can access for a daily fee, as well as an excellent restaurant! The golf course is public in case members of your group want to practice their swings. 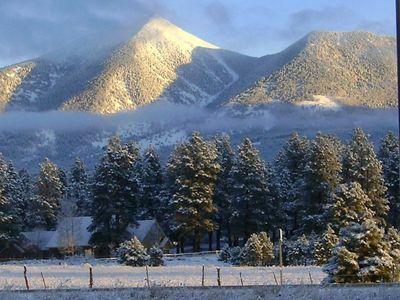 Make your way to downtown Flagstaff, about 10 minutes away, to peruse unique shops, acclaimed art galleries, and scrumptious eateries. 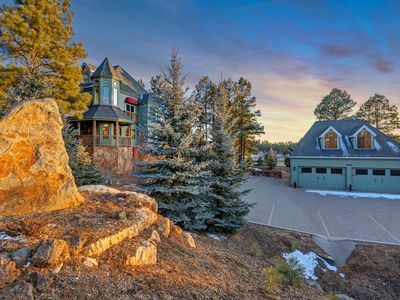 Check out a Northern Arizona University sports game - the campus is located in the heart of downtown - or head to the famous Lowell Observatory for a quintessential tourist experience. This astronomical observatory is one of the oldest in the country - take a tour or visit at night to stargaze using massive telescopes. Soak up the incredible high-desert landscape that meshes beautifully with the mountains via countless outdoor activities. 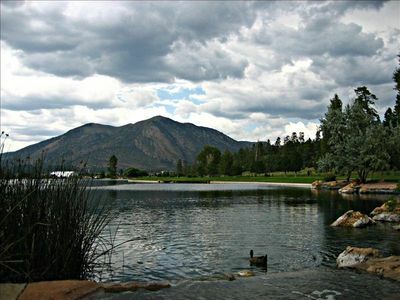 In the winter, experience Arizona's largest vertical drop at Arizona Snowbowl, a ski resort just 30 minutes away. Drive less than 10 minutes to reach the remarkable Walnut Canyon National Monument, where you can explore the canyon's trails showcasing ruins of old cliff dwellings. 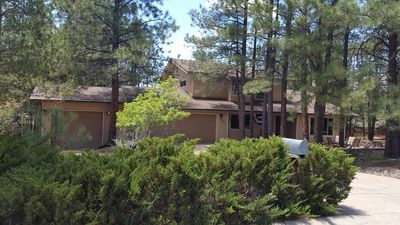 - Prime Flagstaff location less than 5 miles from downtown and within easy driving distance of skiing at the Arizona Snowbowl and prominent tourist attractions in the area including Lowell Observatory, Walnut Canyon National Monument, Meteor Crater Natural Landmark, & more! - Pets are STRICTLY not allowed. 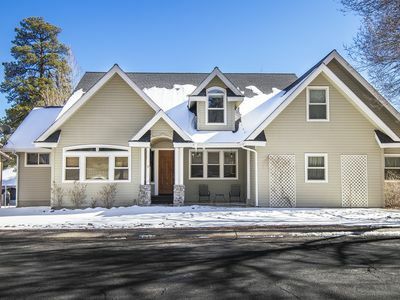 The house is a hypoallergenic home, and a fine of $300 will be assessed if guests violate this rule. Humphrey's Retreat with View of the Peaks. 10 miles to the AZ Snowbowl. 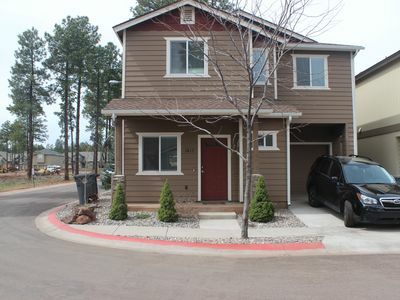 Fantastic Condo Close To Everything Flagstaff Has To Offer! 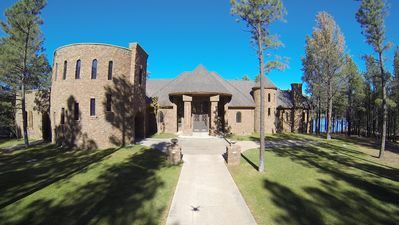 Spend your Vacation in Luxury in this Dream Property! 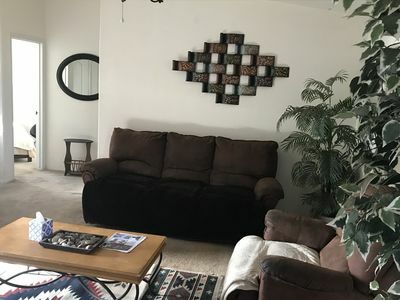 Quaint 1 Bedroom House Downtown Flagstaff. Excellent Location. 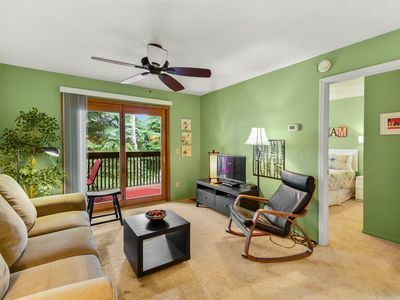 Spacious Townhouse in desirable Country Club neighborhood. 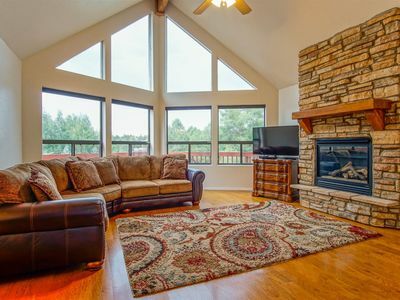 Four seasons relaxation with mountain views in this beautiful golf course home. 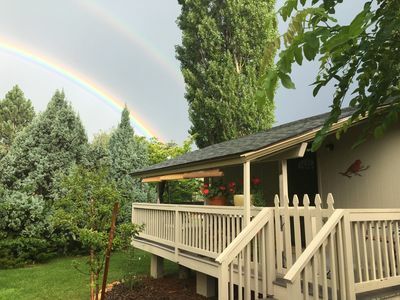 Experience a Great Northern Arizona Adventure! 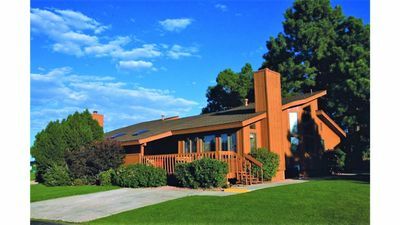 Brand new luxury cottage, Humphreys peak views on 2 acres, with ac!